Top Ranked Chandler Real Estate Agent Jay Mecray is Ready To Work For You! In Chandler, no matter what real estate needs you have (buying, selling, investing), you’ll need the best rated real estate agent to get you the price you want and need. There are a total of 9,477 real estate agents active in Chandler alone! That can be an alarming number, but the top ranked real estate agent in the area is proven to get much better outcomes for his clients at each transaction process. According to real estate transaction data analysis, the top rated 5% of seller’s agents in Chandler sell homes for $29,705 more than the average Chandler real estate agent. The top 5% of buyer’s real estate agents generally save clients 4% more than the average real estate agent in Chandler. Jay Mecray is your Top Ranked Chandler Real Estate Agent out of the 9,477 real estate agents active in Chandler. According to all his clients, Jay is the Top Ranked Chandler Real Estate Agent in the Phoenix Metro Market! Yelp uses actual real estate agent reviews to compare the performance of real estate agents and Realtors® across the world. For Chandler, they analyzed real estate reviews including, but not limited to: how many properties the real estate agents have worked with, how quickly they’ve sold or bought properties for their clients and how much money they’ve earned or saved their clients. According to Yelp, Jay is consistently the Top Ranked Chandler Real Estate Agent and continues to out perform the competition year after year. Jay identifies his clients individual needs, maps their requirements then puts in place best plan to achieve his clients goals. Compared to all other agents in the area on key performance indicators or (KPI) Jay out performs all other agents. 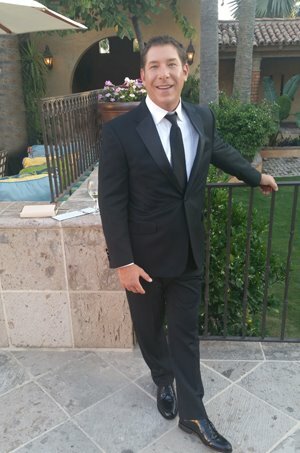 His performance and service level is why Jay is consistently the Top Ranked Chandler Real Estate Agent.